Hong Kong drone manufacturer Yuneec has announced three new drones at CES, including an update to the popular Typhoon H that boasts a bigger sensor with more resolution and the ability to shoot 4K at 60fps. The company is also preparing to move into the fixed-wing category with its Firebird FPV, and take on the racing drone sector with the compact HD Racer. The Typhon H Plus now uses a 1-inch, 20MP sensor along with a wide aperture lens that results in better low light performance. The company doesn’t specify what the aperture is, but it does say that the lens has a focal length equivalent to that of a 23mm lens on a full frame body. The ISO range runs from 100 to 6400, and shutter speeds of between 4-1/8000sec are possible. The drone has a flight time of up to 25 minutes and can reach speeds of 13.5 meters per second (just over 30 miles per hour). With six large rotors the hexcopter provides stable flight in winds of up to 30mph, while a new design sees the machine producing 40% less noise. The airplane has a 13MP-sensor camera and can also shoot 4K video. It uses a ‘short-latency’ digital video link to stream footage back to Earth in high-definition. The craft is simple to fly and, according to Yuneec, can remain in the air for up to 30 minutes on a single charge. The HD Racer is designed to be a fun, portable quadcopter for use in indoor racing. 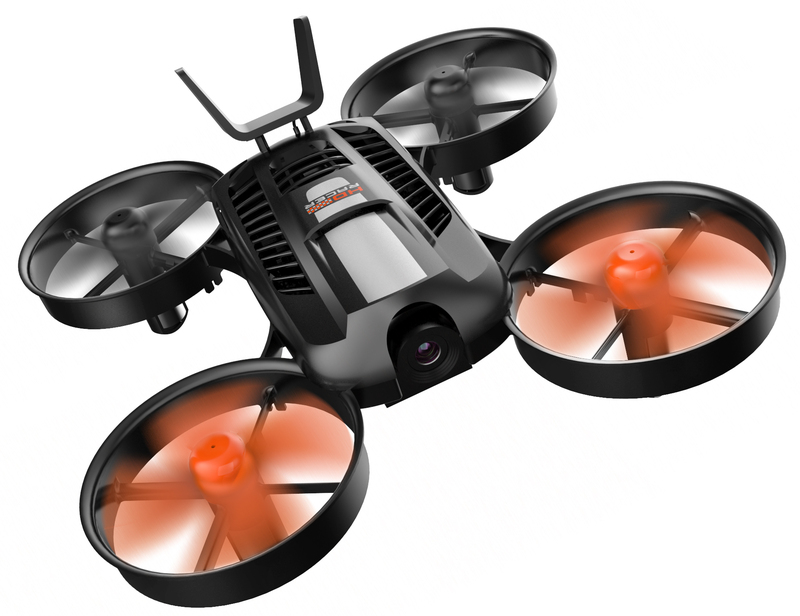 It has a 13MP camera that can record 1080p video at 60fps, and it has a handy flip-over feature that allows the user to right the craft remotely should it land upside down at any stage. The Typhon H Plus and Firebird FPV will ship in the first half of 2018 and will cost $1,800 and $700, respectively. The HD Racer will come out later in the year, and should cost $180. For more information on any of these drones, visit the Yuneec website.